Corner bumper bar protector, prevents minor corner damage to bumper bars if placed in the position that looks like it is exposed to damage. Black in colour. Made of soft Thermal Plasticity Rubber Compound. Exclusive used for top of rear bumper bar protection, placed to the rear of the bumper bar, it provides maximium coverage,saves all types of unloading/loading materials into the back of the car/suv. Small but effective rear bumper bar protector, can also be used on other places on the bumper bar, prevents minor rear bumper bar damage from other cars/suvs. These UV manufactured soft rubber products are easily affixed to cars to minimise minor damage and enhance the car’s appearance (using double sided sensitive tapes). Without the protection of Bump Products a vehicle is at greater risk of damage – abrasions, scratches and chips. These damages are usually the result of a low speed impact by another motor vehicle during parking manoeuvers. Avoid costly repairs from bumps, scrapes and dents in shopping malls, car parks and even your home garage. 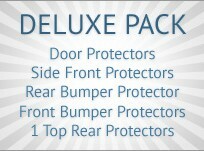 Protect your car from bumps, scratches and dents with new Bump Products. 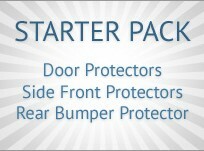 Car Protection, Car Bumper Protection Australia. Car bump protection. Prevent minor car damage, prevent rear bumper damage, prevent front bumper bar damage, save car bump damage, protect your car.